Simply operated, equipped with the water protection system, humidity control system and time control system. 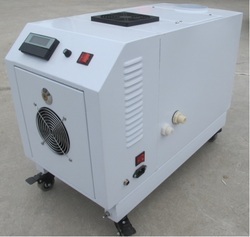 NTC-JDH-G series Industrial Storage Humidifier adopts integrated mist module inside. The chip is replaceable. 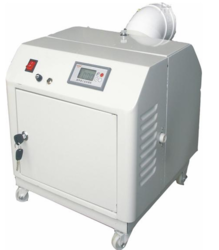 It is easy to maintain and boasts high humidification efficiency. The diameter of fog output is only 1-10u. Maximum relative humidity reaches 99%. Intelligent control, accurate humidity control: Humidity control system with imported world leading the probe. The control precision is within + 5%. Easy to move, convenient to install Able to move, and able to be mounted on the external wall. 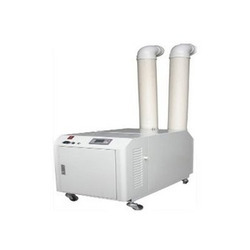 Both automatic and manual humidify control are available. It depends on you. Stainless steel boy, clean and reliable Equipped with standard water feeding gap, water release switch, overflow gap etc. The water feeding gap will fill water automatically. With the constant support of our dexterous workforce, we are able to come up with premium quality Cold Storage Humidifier. 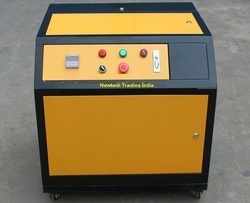 These products are highly efficient and provided optimum performance. 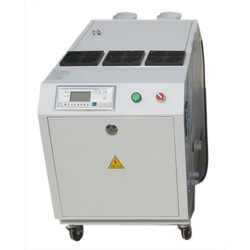 It is widely used in industries to cater the need of humidity and dust reduction. Moreover, these products are sourced from our most trusted and reliable vendors. l. The principle of the Ultrasonic humidifier"
Ultrasonic humidification use ultrasonic energy to break up water into small particles of size from a few μms to hundreds μms. This humidifier is not noisy, no pollution, simply operated, equipped with the water protection system, humidity control system and time control system. Install in a clean air environment with little dusts." Connect the output pipe orifice in the main machine with the 110mm PVC pipe, which can lead to the workshop directly, or be punched several holes. A water filter should be equipped before the main machine. Water should be neutral and clean. Water level should be kept around 30mm higher than the surface of the atomizer transducer devices." It influences the atomization if the water level is too high or too low." Don’t move the humidifier and power line when it’s working. Don’t put your hand above the atomizer transducer devices when it’s working. 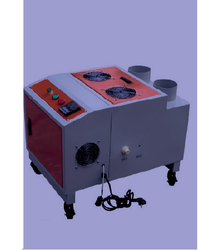 Put the main machine in the place which is ventilated, try to keep away from damp and dust. The water level will change after working for a long time, adjust the water inflow float valve." The water level should be kept 30mm higher than the surface of the atomizer transducer devices. It is better to keep the working time under 10hours every day. 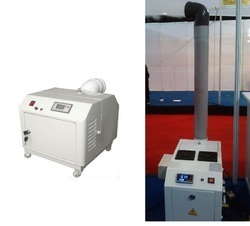 The range of Single Tube Cold Storage Humidifier that we offer to our clients is approved and certified by CE & Rohs. The range is designed with easy to maintain ultrasonic mist humidifier storage that adopts integrated mist module inside and boasts high humidification efficiency. Moreover, the integrated chip is replaceable. 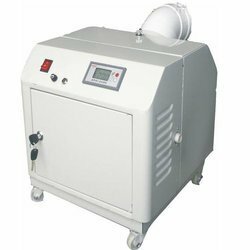 Understanding the requirements of patrons, we are engaged in offering premium quality Cashew Humidifier. 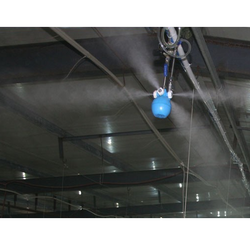 These product transforms clean water into fine water particle through ultrasonic waves and the blower sends the produced mist to the space in need of humidifying to provided needed humidity and reducing dust. Moreover, these products are available at very reasonable price. Understanding the requirements of patrons, we are engaged in offering premium quality Higher Capacity Ultrasonic Humidifier. This product transforms clean water into fine water particle through ultrasonic waves and the blower sends the produced mist to the space in need of humidifying to provided needed humidity and reducing dust. 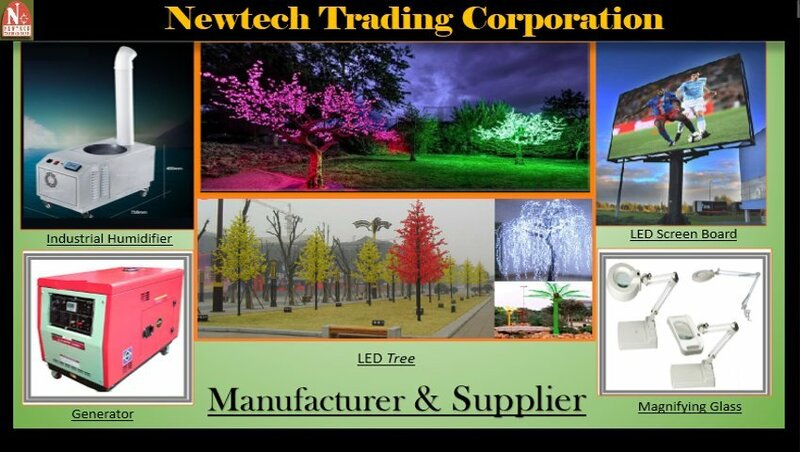 Moreover, these products are available in very reasonable price.